Matt Hampson: Did you ever consider playing outside of Ireland? Brian O’Driscoll: At times through my career I contemplated this. I got a bit of stick for being seen down at Biarritz one year, because my contract was up and it’s important to do a bit of negotiating. But once I was happy at home and I felt that the contracts put on offer were fair for both the IRFU and for myself, it was an easy decision to make. I love being at home and winning the Heineken with my province has been huge, and it’s definitely meant an awful lot more winning with Leinster than it would have done winning with a French club or English club that I had gone on to join. 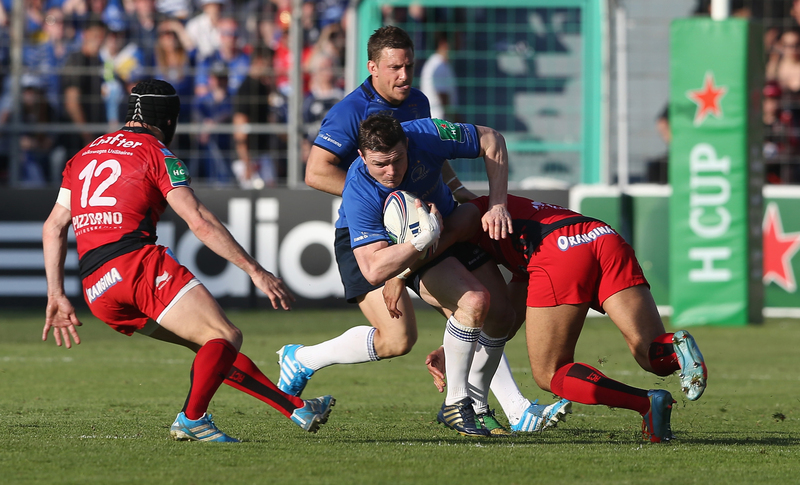 MH: How do you feel about this season’s European rugby row? So there’s a bit of self-preservation in there as well. It’s the best club competition in the world in my opinion; it’s the most exciting and it’s so bloody hard to win it. It just catches everyone’s imagination and it’s definitely a huge competition in Ireland. I think it’s probably been a good relationship for both; Ireland’s been very good for the Heineken and the Heineken has been very good for Ireland too. MH: What have you made of Matt O’Connor since he took charge of Leinster? BOD: A similar thing happened a few years ago with Joe Schimdt. It got to a particular point where we felt we were fairly motivated ourselves, so we just needed someone to come in and give us that last bit of guidance. We’d heard great things about Matt O’Connor and all the Leicester boys on the Lions tour confirmed that last year. They were absolutely gutted to see him go – that’s always a great sign. I got on well with him when I first met him. He just seemed to have a very good understanding of the game and a clear philosophy himself as to the way he wants to play it. He wasn’t there to continue what Joe had done, he was there to print his own personal stamp on things, and he’s done that. MH: Looking back at the Lions last year, how hard was it not to be involved in the final Test squad? BOD: You want to be part of it, of course you do, but it was Warren Gatland’s prerogative to stick with Jamie (Roberts) and Jonathan (Davies), and its hard to argue that he got his selection wrong because the boys played well in the third Test. Could I have fit in there? I’d like to think so, but that doesn’t matter anymore. I was part of a Lions series win, I got to play in two out of three Tests and I felt a pretty big part of it. MH: Who has been your toughest opponent? BOD: That’s a tough one because there are guys I’ve played against lots of times and then there are one or two that were heroes. Someone like Tim Horan was a massive hero of mine growing up. I got my first cap against him and played against him in the World Cup later that year. He was an incredible player, just clever. He played rugby smart and even when he got a little bit older, he was still able to manage young folks like me – the wily old fox that knows how to keep you in his pocket. 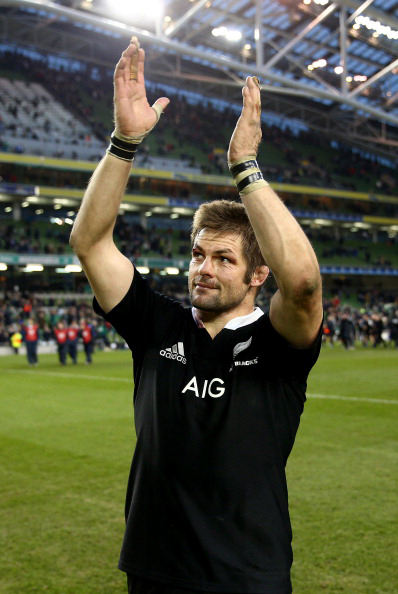 In more recent times, I think someone like Richie McCaw, who has been incredible for the past ten years. To have amassed that many caps (124) as the New Zealand openside is a pretty good effort. And if I bloody feel in bad shape, I cannot imagine what its like for him to wake up in the morning! To read more of Hambo’s exclusive interview with O’Driscoll, see the June 2014 issue of Rugby World, which is on sale on Tuesday 6 May.